Each year, the University of Chicago Press awards the Gordon J. Laing Prize, “to the faculty author, editor, or translator of a book published in the previous three years that has brought great distinction to the Press.” This year, we were delighted to honor Alison Winter’s Memory: Fragments of a Modern History with the 2014 Laing Prize. 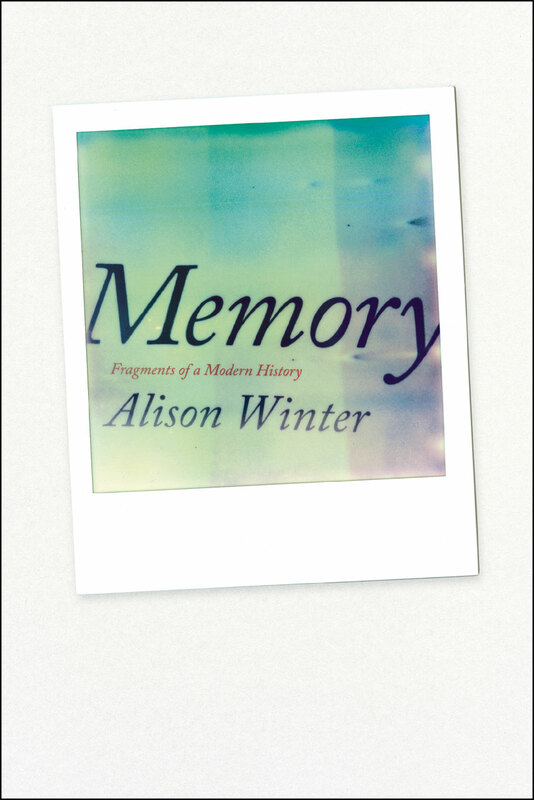 From the official commendation: “Tracing the cultural and scientific history of our understanding of memory, Winter introduces readers to innovative scientists and sensationalistic seekers. She draws on evidence ranging from scientific papers to diaries to movies in order to explore the way that new understandings from the laboratory have seeped out into psychiatrists’ offices, courtrooms and the culture at large. Along the way, she investigates the sensational battles over the validity of repressed memories and shows us how changes in technology—such as the emergence of recording devices and computers—have again and again altered the way we conceptualize and even try to study, the ways we remember.” Winter, in turn, was kind enough to let us publish her remarks from the Laing Prize reception earlier this month; read them in full after the jump below. *** Thank you. First of all, I want to . 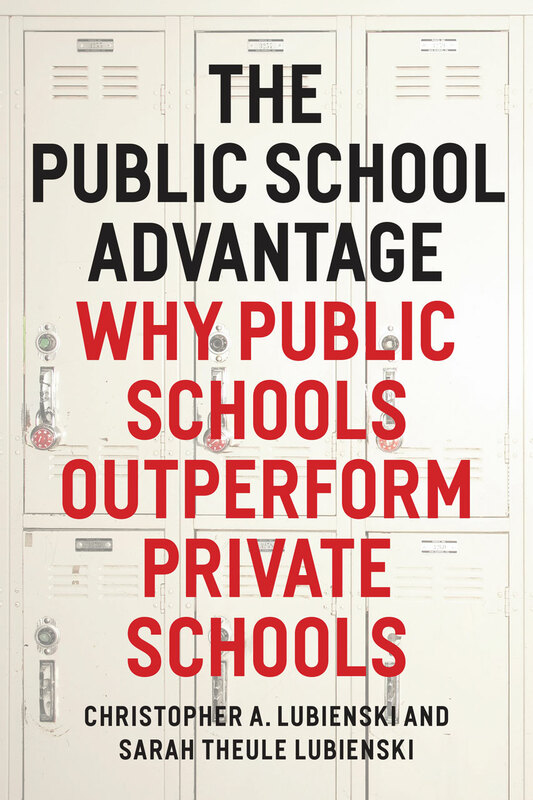 . .
Christopher A. Lubienski and Sarah Theule Lubienski’s The Public School Advantage: Why Public Schools Outperform Private Schools takes on a daunting task: disputing the assertion that markets can solve our social problems, as evidenced by performances of private, voucher-based, and charter schools. Since the first charter school was established in Minnesota, in 1992, and in the wake of No Child Left Behind, the fact of public agencies endowing private and semi-private educational institutions has remained controversial, as funding for capital improvements in our public schools (especially those in inner cities) continues to drop. The case made by the Lubienskis is simple: drawing on two recent, large-scale, and nationally representative databases, they show that any benefit seen in private school performance now is more than explained by demographics. Private schools perform better because their students come from backgrounds of privilege, and are able to access support at many levels unfathomable for their public school counterparts. Despite this, as the Lubienskis demonstrate, gains in student achievement at public schools are at least as great and often greater than those at private ones. In response to a recent piece published by Education Next, Chris Lubienski defended the arguments made in the book, and we excerpt a portion of his response, . . . The Oldest Living Things in the World was a labor of love for artist and photographer Rachel Sussman—the project, to document and photograph continuously living organisms 2,000 years old and older, has been around in one form or another since 2004. The result is a stunning collection of images that function as much more than eye candy in the realm of flora and fauna—Sussman’s work quietly, and with unimpeachable integrity, makes a case for the living history of our planet: where we’ve come since year zero, what we stand to lose in the future if we don’t change our ways, and why we should commit to a more intuitive relationship with the natural world. Above you can view a trailer for the book, which hints at the spectacular flora with which Sussman comes into contact: an 80,000-year-old colony of aspen in Utah and a 43,600-year-old self-propagating shrub in Tasmania, among them. Sussman continues to make a name for herself as part of a new wave of interdisciplinary artist-researchers, and was recently named a 2014 Guggenheim Fellow, as well as an inaugural Art + Technology Lab awardee from LACMA. To explore a bit of the meaning behind the images in the book, here’s a brief clip . . . The Daily Beast recently dredged the archive of zeitgeist-engaged writings as a feature for its recurring column “The Stacks.” What they turned up was novelist Pete Dexter’s wickedly astute profile of Norman Maclean—his first publication for a national magazine when it ran in the June 1981 issue of Esquire—and a piece of writing that is equal parts discomfiting and elegiac, not unlike the work of one Norman Maclean. 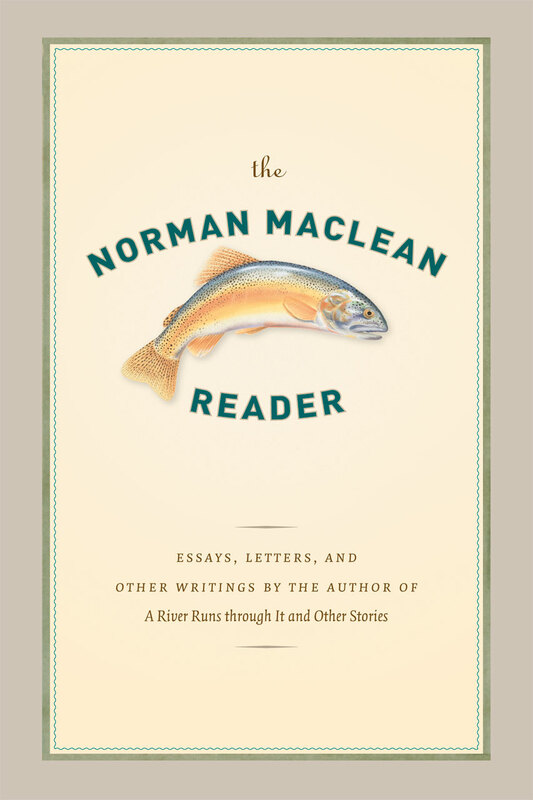 * *Caveat: I realize it is part of my job to endorse Norman Maclean, but this is wholly sincere. Maclean’s fascination with toughness was couched under two veils of redemption: his prose is pained in its evocation of loss and its struggle to both narrate and literate the tragic confines of human behavior; and what comes through a work such as Young Men and Fire (which is a World Book Night selection this April 23rd), is the bored patience and cautiously learned excavation of a natural teacher, of someone who cares to rescind the relationship between art and life, and then recast it in a more vigilant if forgiving light. That book is spectacular. Anyhow, Dexter’s profile is weird and narratively disjointed—it reads like a Barry Hannah short story without the lustful reproach and booze, which I think Maclean . . .
Last week, we were humbled to learn that we received the inaugural International Academic and Professional Publisher Award from the London Book Fair, among a ridiculously esteemed group of nominees across multiple categories. The award, part of a new industry-wide pool of honors, furthers the LBF’s mission to “celebrate the role of the book and the written word at the heart of creative content across all formats.” More from the press release: These unique new awards, celebrating achievement across the entire business of publishing, will provide a truly global industry vision. They represent the UK’s recognition of international publishing industry excellence, and take place within the calendar’s most important global publishing event. LBF and The Publishers Association have selected an group of UK judges, working at the heart of each category, whose international or discipline-specific expertise qualifies them to judge their peers’ work. For a full list of winners, visit Publishing Perspectives, who mention in their write-up of the awards ceremony: The global book industry saw the birth of something new on Tuesday night, something that will surely grow to become a fixture on the international publishing calendar, something that seemed so right one wondered why it had never existed before. Again, we’re humbled and . . .
Where the North Sea Touches Alabama is a strange book—I’ve been describing it to strangers (note the relationship between adjective and noun) as an ethnography of mourning, but really it’s a peculiar hybrid of sociological exegesis, lyric essay, and phantasmagorical travelogue. I believe author Allen C. Shelton might consider it a novel, just as Walter Benjamin certainly must have plucked a term from the atmosphere to describe the Arcades Project as he carried its pages in a suitcase like fake currency. The book considers the tragic life and death of the artist Patrik Keim, a friend of the author’s, and a theoretical muse or Betelgeuse ostensibly traveling between this world and another. That’s the stuff of Western philosophy in the wake of Hegel, or a battered Platonic ideal we repeat to ourselves—the absolute idealism that marks being as an all-inclusive whole: not subject without object, and vice-versa. Shelton takes on this canon—Marx, Foucault, Weber, and especially, Benjamin—and arrives at someplace not entirely recognizable. Maybe that’s because the rest of the landscape he renders—via an epistolary immersion in northeastern Alabama—is so unavoidably specific. Anyhow: not to give too much away. The above trailer should be enough to get you started—like the book, it’s . 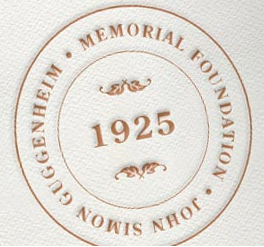 . .
Congratulations to the 2014 class of Guggenheim Fellows, announced this week by the John Simon Guggenheim Memorial Foundation. The Guggenheim, a “mid-career award” (PS: Clare Vaye Watkins, knocking it out of the park for the younger generation), which honors scholars, scientists, poets, artists, and writers, extends its fellowships to assist with research and artistic creation. As we’ve noted in the past, the fellowship possesses some tortured origins—(John) Simon Guggenheim, who served as president of the American Smelting and Refining Company and Republican senator from Colorado, seeded the award (1925) following the death of this son John (1922) from mastoiditis (Guggenheim’s second son George later committed suicide, and more infamously his older brother Benjamin went down with the Titanic). We’re delighted to see included among the “professionals who have demonstrated exceptional ability by publishing a significant body of work in the fields of natural sciences, social sciences, humanities, and the creative arts,” a roster of fellowship winners affiliated with the University of Chicago Press: *** Susan Bee, Fine Arts; contributor of cover images to With Strings: Poems, My Way: Speeches and Poems, Girly Man, and Recalculating, all by Charles Bernstein Susan Bernofsky, Translation; contributor to The Sound of Poetry/The Poetry of Sound (ed. Marjorie Perloff and Craig Dworkin) Deborah R. . . .
Hillary L. Chute spent a significant portion of the past decade studying, hanging out with, and interviewing many of the artists whose iconic images have helped define contemporary graphic arts. 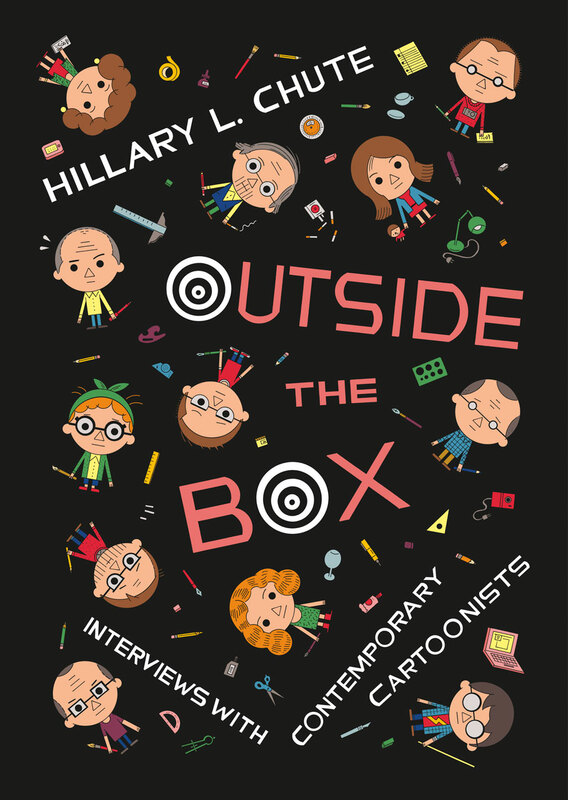 In Outside the Box: Interviews with Contemporary Cartoonists, Chute collects these interviews in book form for the first time, delivering in-depth discussions with twelve of the most prominent and accomplished artists and writers in comics today, and revealing a creative community that is richly interconnected yet fiercely independent. The interviewees include Lynda Barry and Alison Bechdel, Charles Burns and Joe Sacco, and even a never-before published conversation between Art Spiegelman and Chris Ware. In addition to unparalleled access into the cartooning world, Outside the Box also puts narrative power into the hands of this cast of masters—without whom our eyes (and ears) would not take in such gripping stories. For Chicagoans, Chute will talk about the book and her experiences as documentarian and scholar of the cartooning community at two upcoming events: A discussion at the Seminary Co-op Bookstore, 5751 S. Woodlawn, Thursday, April 10th, 6 PM A talk and signing at Quimby’s, 1854 W. North Ave., Saturday, April 19th, 7 PM To read more about Outside the Box, click here. . . .
Just in time for garden prep, our free e-book for April is Jonathan Silvertown’s An Orchard Invisible: A Natural History of Seeds. “I have great faith in a seed,” Thoreau wrote. “Convince me that you have a seed there, and I am prepared to expect wonders.” The story of seeds, in a nutshell, is a tale of evolution. From the tiny sesame that we sprinkle on our bagels to the forty-five-pound double coconut borne by the coco de mer tree, seeds are a perpetual reminder of the complexity and diversity of life on earth. 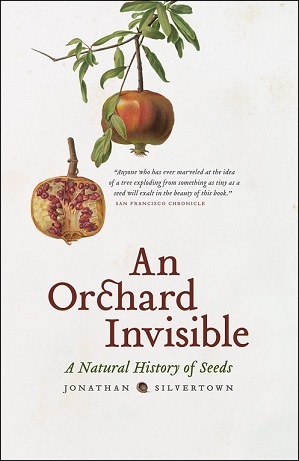 With An Orchard Invisible, Jonathan Silvertown presents the oft-ignored seed with the natural history it deserves, one nearly as varied and surprising as the earth’s flora itself. Beginning with the evolution of the first seed plant from fernlike ancestors more than 360 million years ago, Silvertown carries his tale through epochs and around the globe. In a clear and engaging style, he delves into the science of seeds: How and why do some lie dormant for years on end? How did seeds evolve? The wide variety of uses that humans have developed for seeds of all sorts also receives a fascinating look, studded with examples, including . . .